Connie Kerbs, a longtime former foster parent, with some of her children. When Paul Kerbs was called to the school office as a 7-year-old to be told he would no longer live with his parents, he couldn't fully grasp the significance of that day. He didn't know he would languish in foster care for the next decade. He didn't know he would spend most of his childhood bouncing around different homes and schools. And he didn't know that during that whole process, he would have no say in the decisions about his own life made in court. All he knew was that some grown-ups had decided that he, along with his brother and sister, had been living in an environment of neglect. But Kerbs says he never had a voice in dependency court proceedings in Spokane County, and was never represented by an attorney who could have helped protect his rights, and possibly help him find a permanent home faster. "I wasn't sure what was going on," he says. Not having legal counsel can leave kids without a voice in the most critical conversations about their lives, say lawyers, children's advocates and state lawmakers. Kerbs considers himself lucky. Connie Kerbs, his foster mom of several years, officially adopted him the day before his 18th birthday. Paul is now 27 and attending college in Idaho. 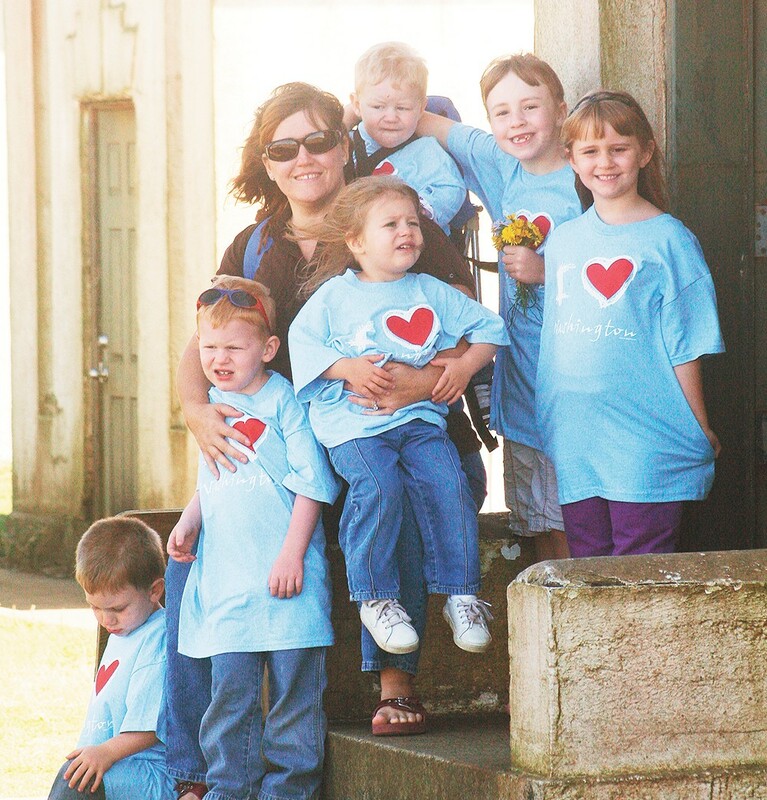 Connie has been a 25-year foster parent, adopting 13 children. The vice president of the Foster Parent Association of Washington State, she calls Paul's success an "anomaly." In her view, all kids should have an attorney representing them in dependency proceedings. She supports a bill in the state legislature, House Bill 1251, that would guarantee an attorney to every child over the age of 2 during those hearings. "These legal proceedings affect every part of children's lives, and everybody in the room has an attorney but the kid who is at the center of the whole case," says Rep. Noel Frame (D-Seattle), the bill's lead sponsor. "We have a system more focused on parents than the kids themselves, and these kids are wards of the state. We have an obligation to them." But some have balked at the price it would cost to guarantee all of these kids a right to an attorney. Volunteers called Court Appointed Special Advocates (CASAs) already represent what they determine to be the "best interests" of kids during court proceedings, and many CASAs see an attorney's role as redundant. Yet attorneys argue that the "best interest" is not always the interest of the child, and that the children deserve a voice in court, too. The debate surrounds one question: In court, who should speak for these abused or neglected children? There are a few ways children can be removed from their home and placed in the foster care system. If a child is abused or neglected, then law enforcement or a hospital can put a hold on the child that would trigger a dependency proceeding. Or Child Protective Services can get a court order to take a child. Once one of those things happen, parents and children then have the right to a hearing within 72 hours. Parents will be told allegations, and decisions will be made about where the child or children will stay, what services they will receive, and the relationships they will maintain with the family. But in Spokane, children under 12 won't have an attorney representing them. Michelle Ressa, a Spokane County Superior Court Commissioner who has many of the same responsibilities of a judge, says that CASAs don't even make it to those first hearings, even though state law says that children shall be appointed a CASA. As of mid-February, Ressa says there were 1,104 open child cases in Spokane County, a majority of which are kids under the age of 12 with no legal representation. Ressa says her personal stance is that both a CASA volunteer and an attorney should be there advocating for the kids. "I really do see those as very distinct roles," Ressa says. Last year, the Access to Counsel Project at the University of Washington School of Law tried to find how exactly how important it is to have both an attorney and CASAs. The researchers observed about 600 hearings in King, Snohomish and Pierce counties, finding that children had an 84 percent chance of having their opinion shared with the court with both a CASA and attorney advocating for them. In contrast, less than 20 percent of children had their opinion shared with only a CASA, and just 6 percent of children did with neither an advocate or attorney. The report's author, Alicia LeVezu with the UW School of Law's children and youth advocacy clinic, says that CASAs are important, but they may not always know when legal rights are at stake. She says it's important to have the mix of someone, like a CASA, telling the court what they personally think is best, along with the attorney, who can act as a vehicle for what kids say. Attorneys can file motions in court, and CASAs can't. That can make a huge difference in helping kids, she says. She calls the variance in county laws throughout the state "justice by jurisdiction." Katie Maucione, a Spokane County public defender who takes on cases once a child turns 12, says what an attorney can bring to a dependency case is important, and different, from a court-appointed advocate. Importantly, an attorney is on the child's side "no matter what," Maucione says, and attorney-client privilege can make them more open to discussing things. Ressa says the best CASAs will tell her when a child wants something different than what the volunteer feels is in the best interest of the child. But they are not lawyers. "There is a reason why people go to law school and learn the process and learn the rules," Ressa says. Not everyone thinks attorneys are necessary for children. Some say they could complicate cases more than needed. Keith Smith, a CASA volunteer in Snohomish County, recently testified in a committee hearing against the bill to give all children counsel. He said he visits each child and speaks with them, coordinates with daycare providers, and reviews family and health care records. He said he asks all of his clients if they understand what a court is, what a judge is, and what they want to tell the judge. "I think [adding an attorney] would create one more person who's going to do what I already do," he says. "I would rather see funds to increased services for parents, and help reduce caseload. Not create new positions." The cost would be steep to hire the lawyers needed to guarantee all children the right to counsel in dependency court proceedings. Maucione is the only public defender in the county handling these cases for children 12 and older. But she says her clients are already underrepresented, because her caseload of 121 is double what the American Bar Association recommends she should have: 60. Hiring the attorneys needed to handle the nearly 900 open cases with children who don't have legal representation? That could require more than a dozen new attorneys. "I would fully support the idea of kids of all ages having attorneys," Maucione says. "As long as it's not me." Connie Kerbs, who has seen firsthand how the legal system has impacted dozens of children in foster care, says both CASAs and attorneys play important roles, and stresses that providing money for attorneys while eliminating CASAs should not be the answer. Attorneys, for example, may not be able to see what kind of therapy a 2-year-old child needs. But a special advocate may not understand the legal rights of children that would prevent them from bouncing around eight different homes in a year.